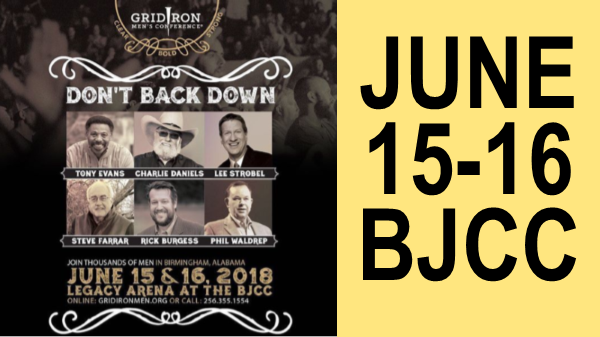 Phil Waldrep of Phil Waldrep Ministries shared information about the Gridiron Men's Conference, June 15-16, 2018 at the BJCC Legacy Arena in Birmingham. He shared about the significance of the theme, "Don't Back Down," commented on challenges men are facing, and discussed the guest lineup. The website address is www.gridironmen.org.